Thread: I have to confess to being a hypocrite U/D they’re here! So, bloke hasn’t yet moved out, although will hopefully be doing so within the next couple of weeks. I didn’t want to come home to an empty house as it’s going to be odd without him, even though I’ll be glad to finally be able to relax. I discussed things with Mum and we decided that moving Herb and Willow indoors wasn’t right for them. Herb gets stressed quite easily due to his cataract and not being able to see things. It’s also the wrong time of year as they have their winter coats on and so they’ll be hot indoors and if it doesn’t work out having them indoors then they will have lost some of their thick coats and would be too cold outdoors. 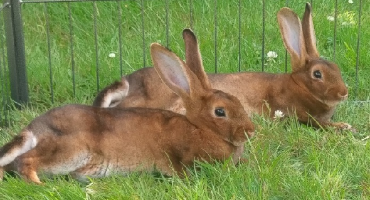 We therefore decided to keep them outdoors, and to have new bunnies indoors. 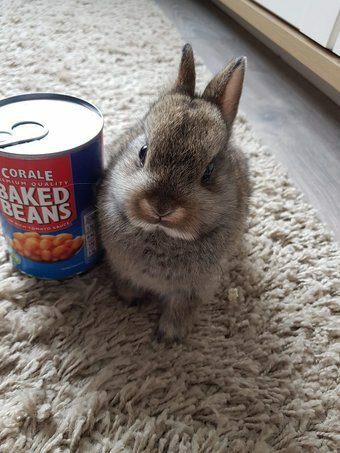 One of my colleagues had a rabbit in the summer, but she tragically lost him to RHD2 as her vet only told her that she needed the combined vaccine. She is still upset by his death and has now got piggies for her children. 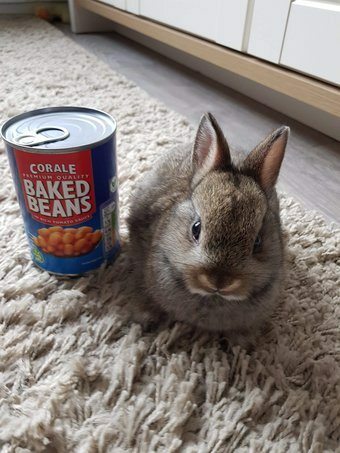 Her friend however keeps bunnies and when she had a litter recently offered her a baby from the litter. Unfortunately (! ), she told me about them, which when I heard they were nethies was a fait accompli! I was originally only going to have one boy, but *someone* talked me into getting his brother as well. I’m not entirely sure how I’m going to tell them apart, but food dye on the ear tip has been suggested. I do feel guilty that they aren’t from rescue, What has been noticed though, by my family, colleagues and friends is how much happier I am since I’ve decided to have them. They’re coming home on Sunday to live in the kitchen/diner initially and then free range further when bloke finally leaves. I’m stupidly happy and excited about having them. Last edited by Glingle; 02-02-2019 at 12:49 PM. Eeep, they're so cute They also have naughtiness written all over their faces My goodness, they'll keep you on your toes inside the house! Joey says Hog & Weed but he's biased.